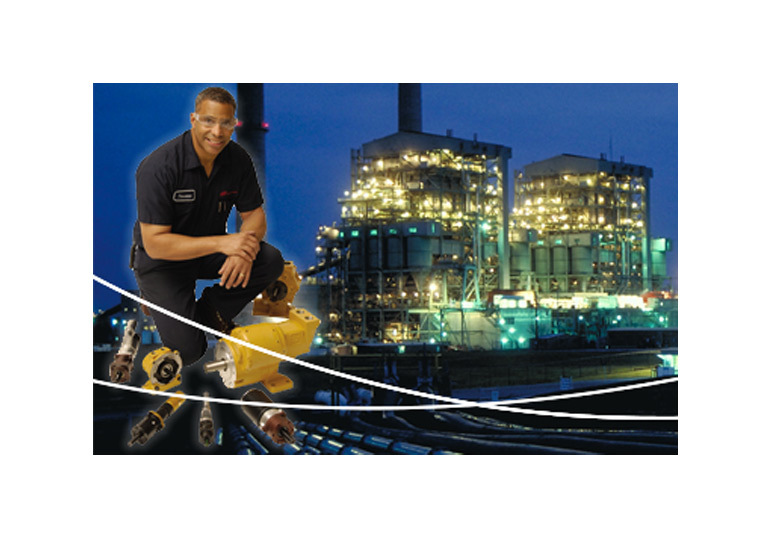 For nearly a century, Ingersoll Rand has been serving the material handling needs of industries around the globe. 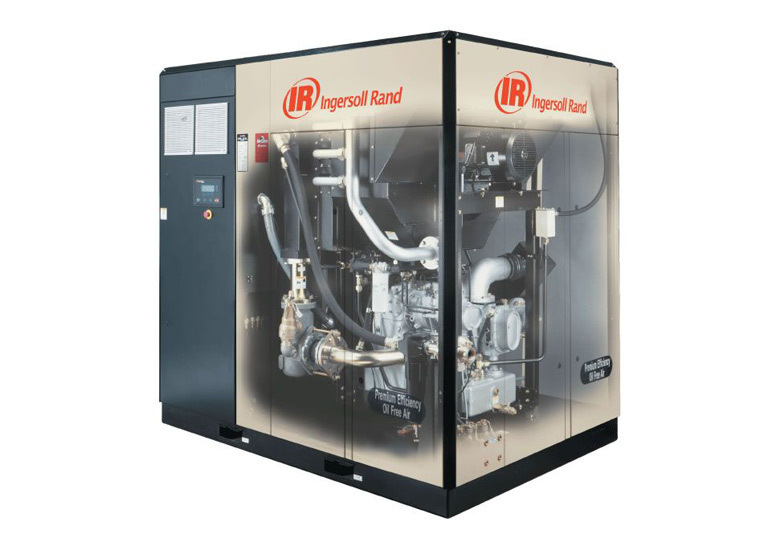 With many years of manufacturing experience, ISO 9001 certifications, and a 24 hour service network, Ingersoll Rand has created the unique ability to respond to your needs with the highest quality material handling solutions, technology, and services available in the world. By using Ingersoll Rand solutions created for your material handling needs, you can expect improved productivity mandated by a global economy. At the same time, you can expect ergonomic solutions which improve operator performance and avoid labor downtime due to health or safety issues in using automation. We strive on the durability, reliability, and safety of our products. Explore Ingersoll Rand's material handling product portfolio, and trust us to get the best quality product delivered to you, every time. 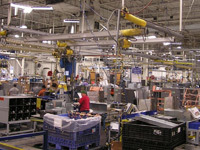 Ingersoll Rand has been designing standard and custom Handling Device solutions for over 50 years. Whether you call them Handling Devices, End Effectors, or Lift Assists, we offer the most complete range of handling solutions from the simplest to the most complex. These handling devices use vacuum, clamp, probe, trap or hook style designs to handle loads up to 1000 lb. 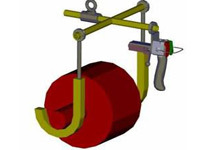 Each solution is designed with operator safety in mind, and ALL devices are designed to meet the ASME B30.20 specification for Below-the-Hook Lifting Devices. 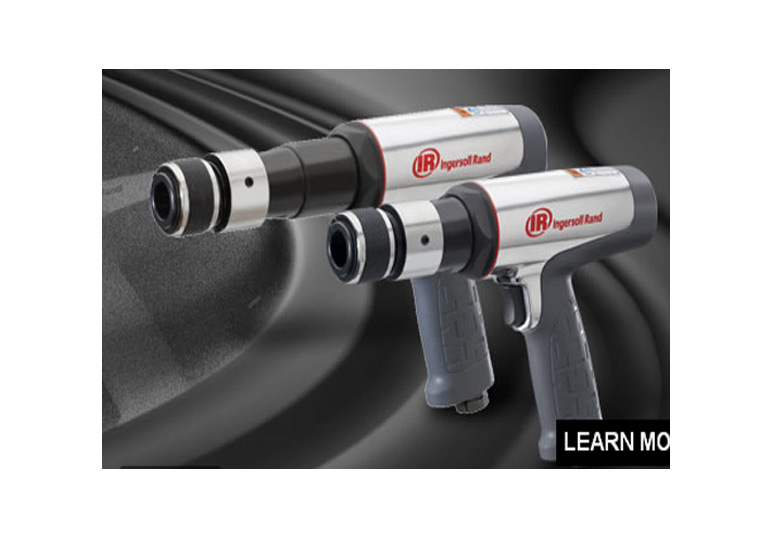 Most Ingersoll Rand end effectors come equipped with a safety interlock system that will not allow the operator to accidentally disengage the part during transfer. In every respect, Ingersoll Rand is an essential part of a more productive ergonomic work place, empowering individuals to work more comfortably and effectively. Torque tubes offer guided lifting with effortless vertical travel, relieving the operator of tool or part weight and torque reaction and resulting in increased work place productivity. These products are designed to prevent the long-term damaging effects of repetitive lifting and torque reaction on the human body, resulting in lower workers compensation and health care costs. AIR BALANCERS allow users to not only lift the load but also “float” the load, allowing for precise manual movement and placement without the “jogging” required with traditional hoists. 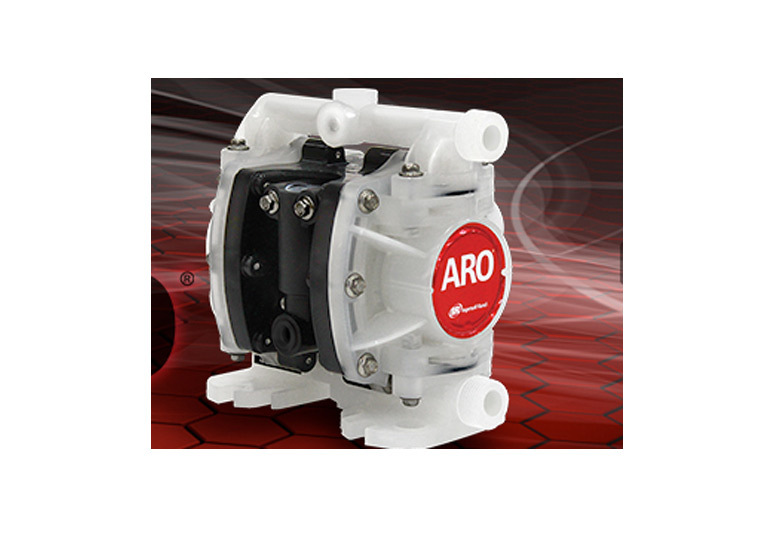 Air balancers operate within a capacity range of 50 to 2000 lb (22 to 909 kg). 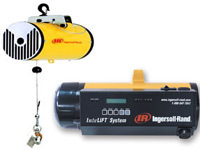 INTELLIGENT LIFTING DEVICES remove the need for up and down controls by sensing user force input and translating it to precise vertical motion. 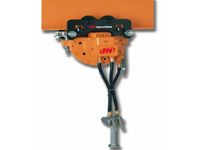 These devices are ideal for applications where hands-on load control is required of loads up to 1000 lb (455 kg). MECHANICAL SPRING BALANCERS are for applications where a constant weight travels a relatively short vertical distance (i.e. power tools, weld guns). These balancers cover weights up to 363 lb (165 kg). 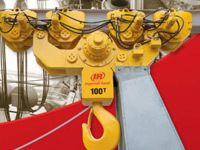 IIngersoll Rand hoists have been providing lifting solutions to industries around the globe since the early 1900's. 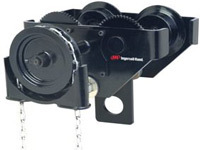 Today, we offer the broadest range of chain hoists in the world. With capacities ranging from 1/8 through 100 tons. We offer hoists for high-speed production applications, food grade applications, and for the harsh environments found in mines, shipyards, power plants, cement plants, refineries and onshore and offshore drilling and production platforms. We pride ourselves in our willingness and ability to take on tough applications with engineered special products. 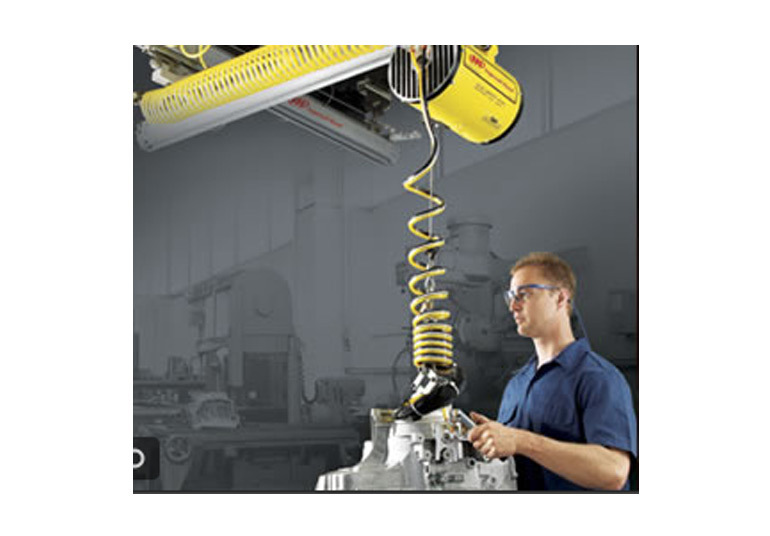 Ingersoll Rand hoists come with a wide array of options and accessories. 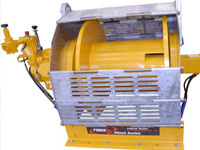 The Ingersoll Rand line of air winches incorporates the best ideas and innovations of Beebe International, Samiia of France and the original Ingersoll Rand line of products. 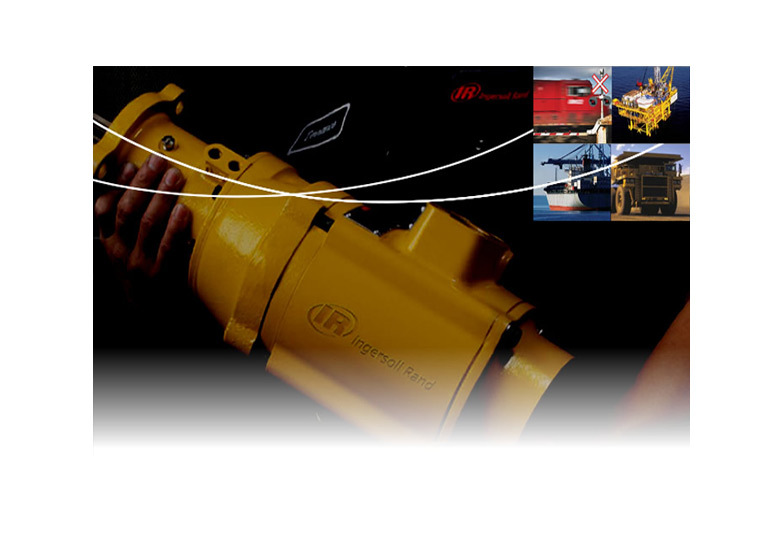 The combined experience of these companies adds up to over 200 years of solving the most challenging lifting, pulling and positioning applications in the world’s toughest industries. As an alternate for reaching in, under, and around obstacles, Ingersoll Rand Arm Systems allow an operator to precisely and effortlessly position loads regardless of physical strength. Used in conjunction with an Ingersoll Rand end effector, an operator can perform a wide variety of material handling applications. Our full line of Arms can handle loads from 150 lb (68 kg) up to 1000 lb (227 kg) and offer the most flexibility available on the market today. Beam clamps provide a temporary or permanent mount to a wide range of tapered or flat beams. The clamp jaws are designed to reduce beam stress by applying the load inside of the flange edge. Capacity range from one through ten metric tons. Jib cranes are perfect for short transfer applications. Ingersoll Rand offers both floor and wall mounted jib cranes with boom support coming from a tie rod support. If more than 220° rotation is required, our new ZF Series not only rotate up to 360°, but are ideal for low headroom applications. 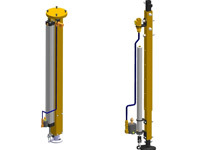 Both styles offer low-resistance, lightweight booms that rotate easily around the column or pivot, providing an inexpensive, ergonomic solution to overhead support. Enclosed rail forms the backbone of any material handling system. 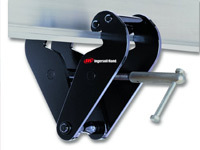 Ingersoll Rand offers five enclosed rail profiles in lightweight aluminum and durable steel. The enclosed rail design reduces the accumulation of dirt and grime on the internal running surfaces, thus reducing rolling effort. These enclosed track profiles feature lightweight, precision running surfaces with less than 1% rolling resistance. All the accessories, such as hanger kits, end trucks, trolleys, safety cables, and end stops, are provided to construct a complete ceiling supported or freestanding workstation crane system. The entire system is easily bolted together and requires no welding to assemble. A tractor is just what the name implies. It is a motorized, in our case air powered, device designed primarily to push, pull or position a load that is suspended from a trolley on a beam. Completely independent, however, tractors can be used to push, pull or position just about anything that rolls, whether suspended or on the ground. They are particularly useful to negotiate tight curves and can even be run upside down. Ingersoll Rand beam trolleys are designed to work on a wide range of tapered S beams and Wide flange W beams. (Please see our Rail Systems Components section, under Rail Systems, for trolleys that fit our enclosed rail.) 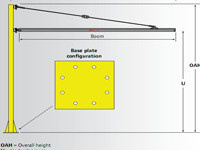 Trolleys are normally used to suspend a load and allow it to traverse along a beam. 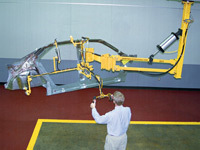 Typically a hoist is attached, via a hook or a lug suspender to the trolley. Ingersoll Rand trolleys come in plain push style, hand geared, and air motor driven. Most of our trolleys can be used on their own and adapt to most manufacturer's hoists. Some are dedicated to Ingersll Rand brand hoists. For bridge retrofit work, we even offer Man Rider™ trolleys suitable for holding suspended work platforms with people on board.